The majority of our clients come to us through recommendations and so our reputation is very important to us. We pride ourselves on providing a friendly, professional and practical service, tailored to your needs, at a price that you can afford. 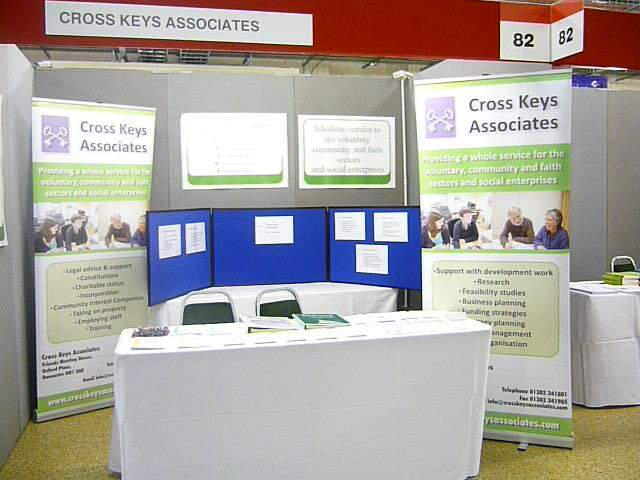 Cross Keys Associates is an organisation that provides advice and support services to the charitable, voluntary and not for profit sector. Our aim is to assist small and medium sized charities and not for profit organisations in dealing with the work involved with running an organisation and also to develop their work as things change. We can advise you on issues such as choosing the right structure for your organisation and creating a governing document and then support you in making the right decisions in actually running the organisation. Alan Robinson was a solicitor for forty years and works with charities and social enterprises to set up and run their organisations. Our expertise also includes carrying out independent community development consultancy which involves research, training and support with project development and management. Ann Hindley has more than thirty years' experience in community development for the voluntary, community, faith and social enterprise sectors, with particular experience of rural work. Our team can provide training for members of your organisation on a number of topics to help you manage your responsibilities. In addition Alan Robinson continues to provide training in welfare law topics, including mental health and mental capacity, social security and community care, and the law as it affects older people. Please take a look around our website or get in contact with us to find out more about what we can offer.